May | 2011 | 50 Westerns From The 50s. 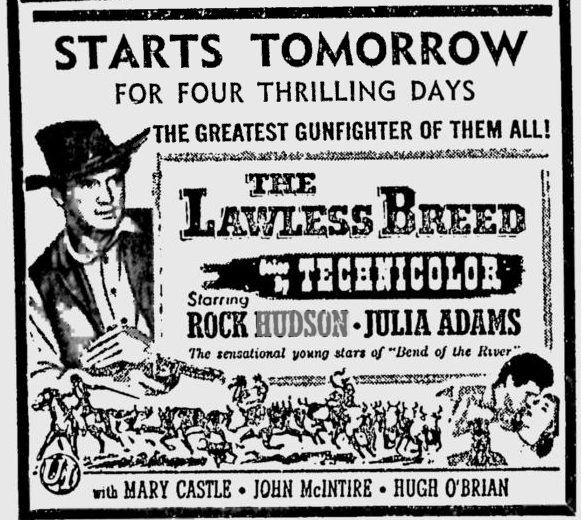 Raoul Walsh’s later pictures are often dismissed. But when you turn out both White Heat and Colorado Territory in the same year (1949), you’re entering the 1950s with talent very much intact. 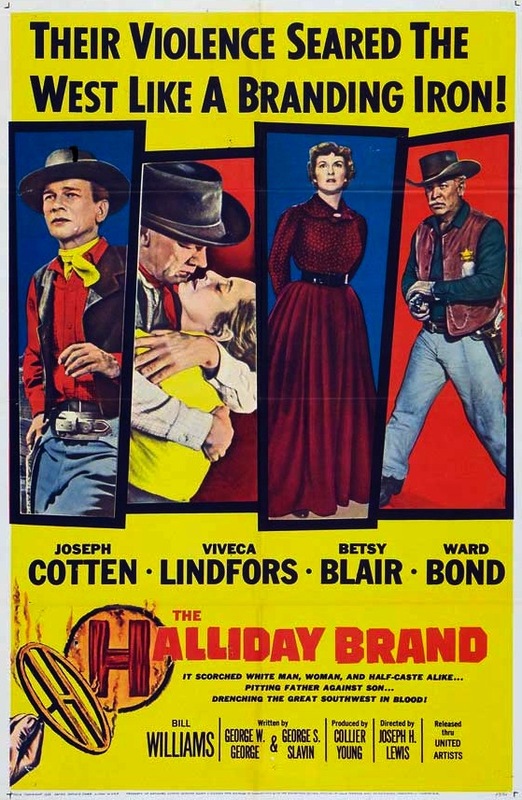 His Fifties Westerns, Lawless Breed (1952) and Gun Fury (1953), pale in comparison with Colorado Territory. They’re a great way to kill 80 minutes, however. He knew how to make movies — and he’s endlessly quotable. 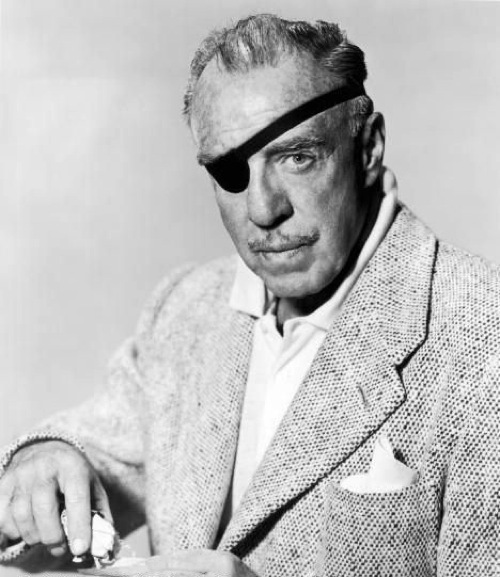 Here are a few things pulled from various sources, along with Lee Marvin talking about him. Sources: various newpapers, The Men Who Made The Movies, Raoul Walsh: The True Adventures Of Hollywood’s Legendary Director. Clint Eastwood turns 81 today. 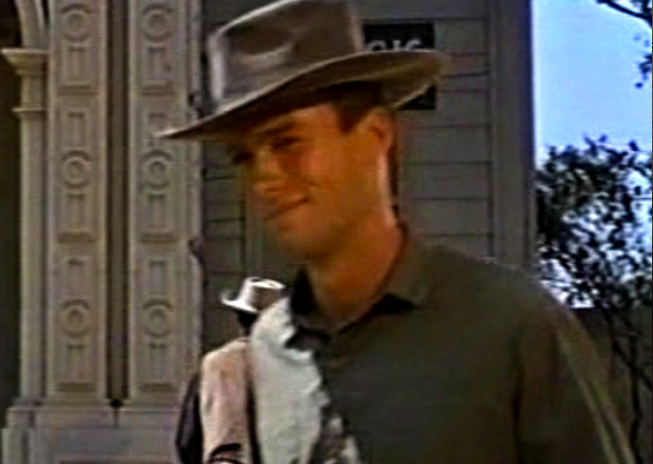 Before Rowdy Yates, before the Man With No Name, before Dirty Harry, before the Oscar-winning director and all that, he was Tom in Star In The Dust (1956), a Universal Western starring John Agar. It was a part with no credit, but it had dialogue (more lines than he had in Revenge Of The Creature the year before). 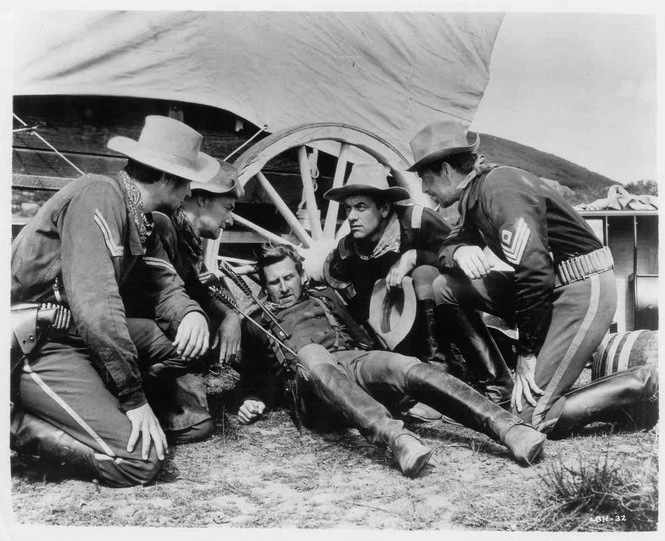 Making these pictures in the last days of the studio system, working with directors like Jack Arnold (and later Don Siegel), helped Eastwood become the film-maker we celebrate today. Star In The Dust is hard to track down, and Eastwood might like it that way, but it’s a cool little film — like most Universal Westerns. Here’s Lloyd Bridges and John Ireland in Little Big Horn (1951). And here’s remembering all those who’ve given their lives for our country. 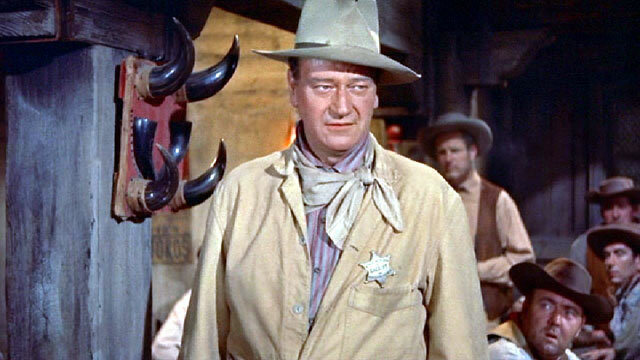 Seen here in Rio Bravo (1959). This just in (courtesy of Henry Cabot Beck). Twentieth Century Fox Home Entertainment’s MOD program has announced the latest round of its MGM’s Limited Edition Collection. One of them is Joseph H.Lewis’ The Halliday Brand (1957). This is a picture I haven’t seen in eons. With Lewis and that cast, I’m looking forward to seeing it again. Other Westerns on the way: Quincannon, Frontier Scout (1956) and Gun Duel In Durango (1957). Not a Western, but also part of this batch of titles is Budd Boetticher’s The Killer Is Loose (1956). Released the same year as Seven Men From Now, this is not to be missed. 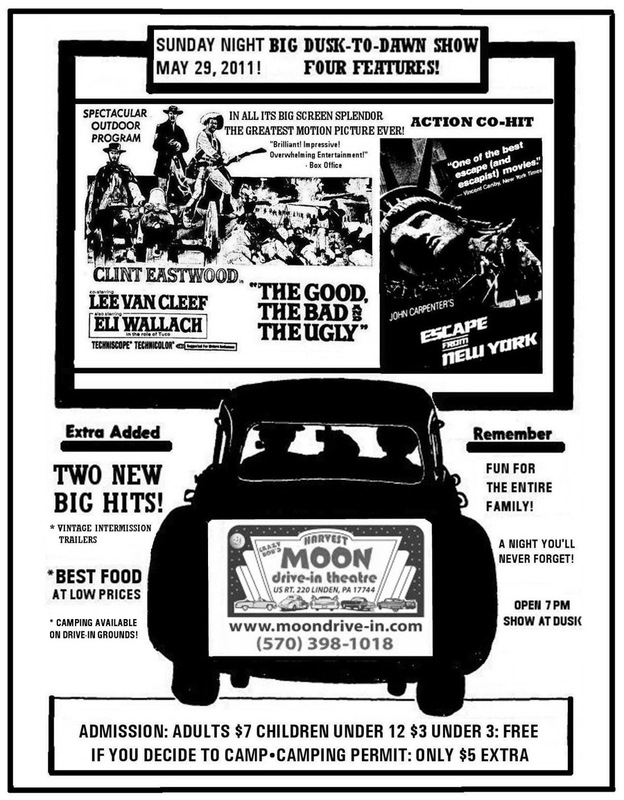 If you’re out that way — or dedicated/crazy enough to make the drive — be sure to stop by the Harvest Moon Drive-In in Linden, PA for The Good, The Bad And The Ugly (1966). The Harvest Moon certainly deserves the support of movie nuts everywhere for bringing classic films back to the drive-in. Coming this summer is a dusk-to-dawn event featuring Monte Hellman’s Two-Lane Blacktop (1971). Here’s John Payne celebrating his birthday on the set of Tennessee’s Partner (1955). 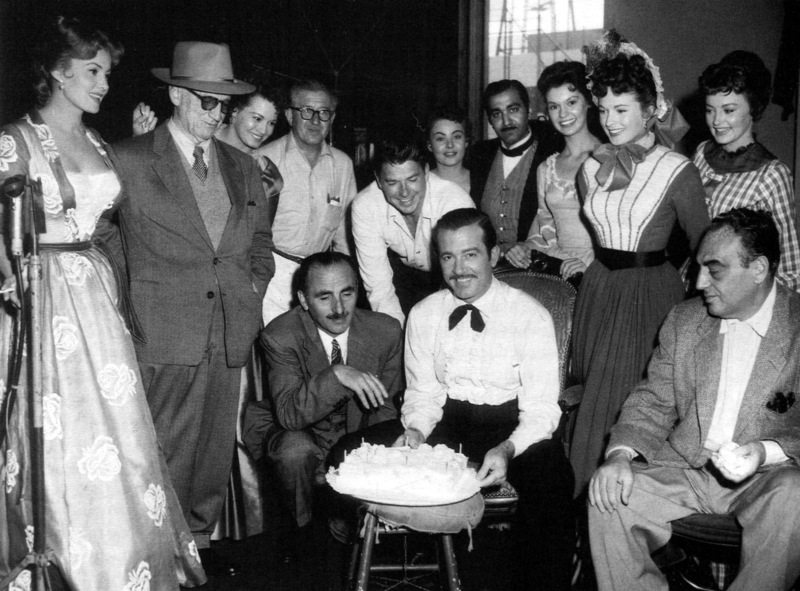 Left to right: Rhonda Fleming, Allan Dwan, Angie Dickinson, John Alton (kneeling), Ronald Reagan, Payne, Colleen Gray (in bonnet) and Benedict Bogeau.